Virtual Volunteers Use Twitter And Facebook To Make Maps Of Nepal : Goats and Soda After the earthquake struck, they began using social media to find out the extent of the damage, who needs help — even where aid groups are setting up shop. 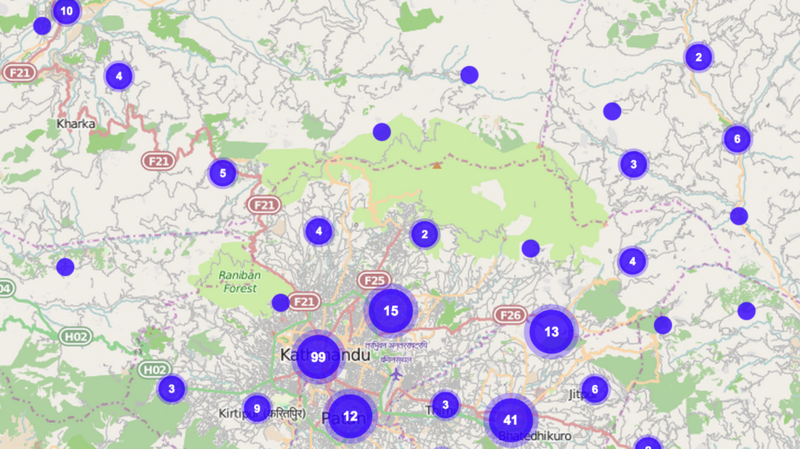 Kathmandu Living Labs' earthquake site collects data about conditions and needs. Each blue dot represents the number of reports of help wanted — medical, food, water or shelter — near Kathmandu.